Application Deadline: 8th March, 2019 (23:59, UTC-05:00). Eligible Countries: Developing countries and territories identified for OECD official development aid in the DAC List of ODA Recipients are eligible to apply. To be taken at (country): All universities are eligible for the ESED scholarship. It is preferable that the candidate pursues her/his studies in a university outside his home country. Accepted Subject Areas: Programs eligible for this scholarship must show a 75% focus on renewable energy and/or the power sector in general. 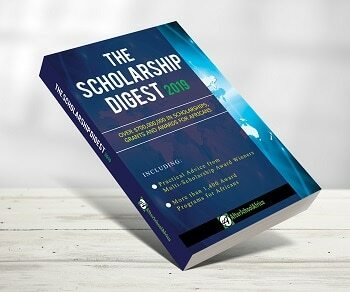 About Scholarship: The purpose of the Education for Sustainable Energy Development [ESED] scholarship is to support outstanding students from developing countries pursuing advanced studies in sustainable energy development and to encourage meaningful contributions to the collective body of knowledge about this subject. These scholarships are available to up to 10 outstanding students from developing countries and economies in transition, for a period of up to two years for Masters Degree, awarded annually. Number of scholarships: Up to ten (10) Masters scholarships will be awarded annually. Value of Scholarship: Scholarships of US$ 23,000 per year. Applications should be submitted using the Online Scholarship Application. As the volume of incoming applications is extremely heavy around the deadline, we strongly urge you to submit your file as early as possible.